Hire purchase is an agreement which allows you to finance the purchase of a vehicle over an agreed period of time. It is purely a finance package and does not include maintenance or other added-value services. The lessee pays an initial deposit and then a series of monthly payments for the term of the contract. Upon the last monthly payment, you will take ownership of the vehicle. There is no option to return the vehicle at the end of an agreement. However, it is common to be offered the option of a balloon payment with a HP agreement. You can not take ownership of the asset without settling this residual payment. A balloon payment is the term for deferring a set amount due on the contract. By offsetting a balloon amount, it has the benefit of reducing the monthly payments, which in some cases means a vehicle that wouldn’t have been in budget under a straight HP deal, now becomes an achievable option. What Are The Benefits To Hire Purchase? A Hire purchase agreement allows the end user to take ownership of the vehicle once all payments have been made. If the vehicle was great fit for you, you have the option to keep it. Or perhaps you may wish to sell the asset and retain the proceeds. Hire purchase is a popular option for purchasing new vehicles as this agreement offers a low initial deposit. This may stretch the range of vehicles available without stretching purse strings. 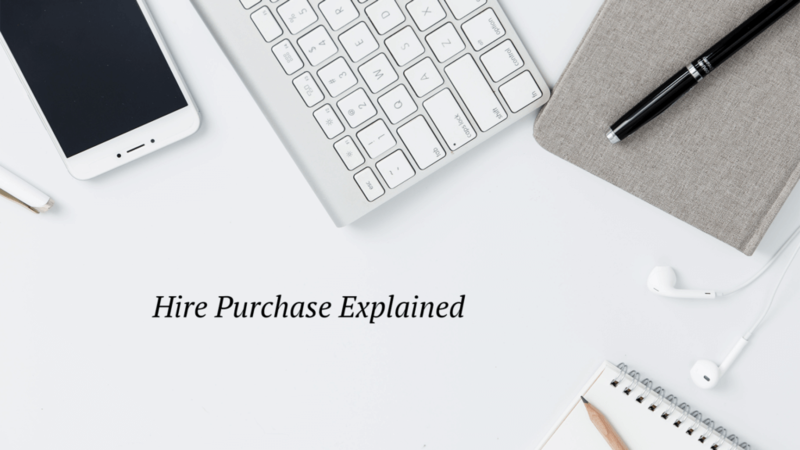 Hire purchase is ideal for individuals or non-VAT registered companies. All HP Figures are inclusive of VAT. Visit our hire purchase page. Or alternatively, contact a friendly member of our sales team who will be able to settle any unanswered questions.